Home / behind the music / Read Excerpts From: "Stage Oddity: The Story of David Bowie’s Secret Final Project"
Read Excerpts From: "Stage Oddity: The Story of David Bowie’s Secret Final Project"
In honor of David Bowie's birthday on January 8th, GQ published Michael Cunningham's account of his strange and amazing collaboration with the aging rock star. 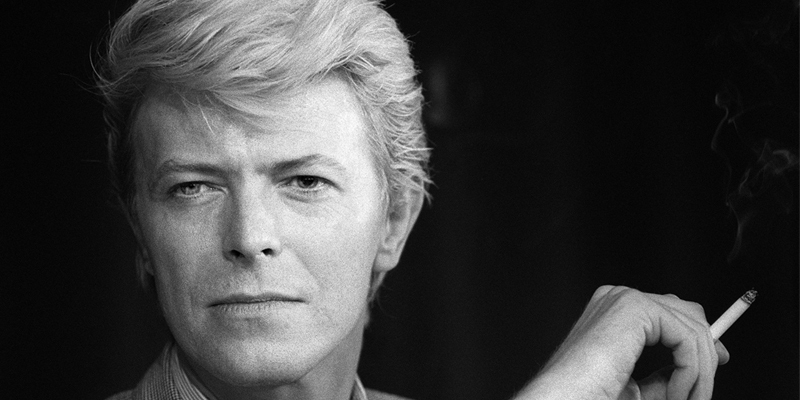 The Pulitzer Prize-winning novelist received a phone call from Bowie that set off a yearlong project on an alien-themed musical. Read excerpts below and find the full article here. After we’d exchanged a smattering of small talk, I asked him if he had anything specific in mind about the musical he’d like us to work on. He admitted that he was intrigued by the idea of an alien marooned on Earth. He’d never been entirely satisfied with the alien he’d played in the 1976 film The Man Who Fell to Earth. He acknowledged that he’d like at least one of the major characters to be an alien. I was intrigued by aliens, too. I’d just written a novella about alien immigrants who came to our world in droves because their planet was not at all the spired futurescape we like to imagine but, rather, a realm harsher and more desolate than the most hellish places on Earth. The aliens were only mildly surprised to learn, once they got to Earth, that they were despised and discriminated against and could only get jobs so lowly no earthling would take them. And there was, of course, my own adolescent sense of myself as a marooned alien, with just David B. for company. Aliens? Sure, I could do aliens. David started coming up with brief passages of music, on a piano or synthesizer, when we were at his place. I’d never been in the presence of a talent like his, not at the first moments of composition, when he was just noodling around, trying things out. What he “tried out” was already, instantly, lush and complex and heartbreaking. I’m sorry I can’t reproduce it for you. It was never recorded. The songs were undeniably beautiful but had what I can only call a dark buzz of underlayer. They had urgency. They were gorgeous and also, somehow, ever so slightly menacing. Music was a language David spoke fluently. If he thought of himself as a genius, he never let on. If anything, he seemed surprised that most people can’t just sit down at a piano and produce riffs, without plan or practice, that were already possessed of soul and depth and (in our case, anyway) a rinsing whisper of melancholy.